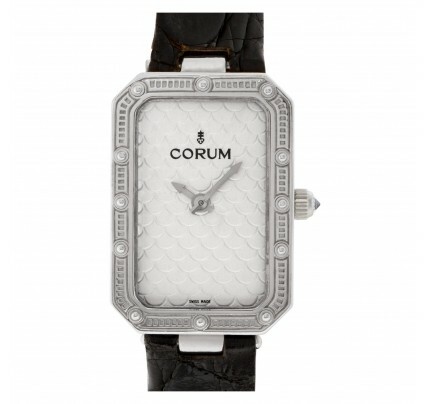 Limited Edition Corum Lady Millennium in 18k white gold with original diamond bezel on leather strap & 18k white gold deployant buckle. Quartz. Unused with box and papers. Ref 137.310.69. 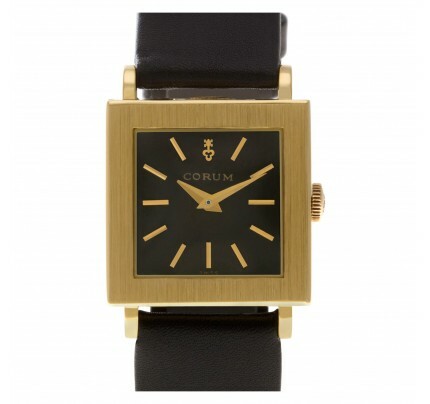 Fine Unused Corum Watch. Unused Dress Corum Lady Millennium 137.310.69 watch is made out of white gold on a Black Leather Leather band with a 18k White Gold Deploy buckle. 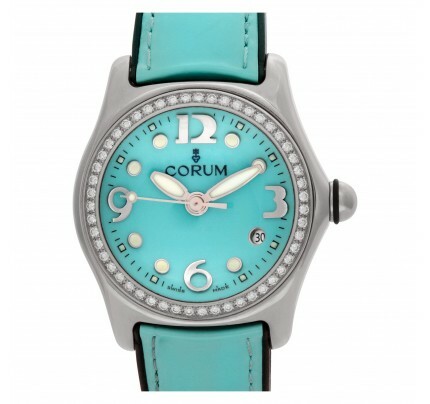 This Corum watch has a 24 x 53 mm case with a Oval caseback and Salmon Diamond dial. Circa: 2010s . It is Gray and Sons Certified Authentic and comes backed by our 12-month warranty. Each watch is inspected by our certified in-house Swiss-trained watchmakers before shipment including final servicing, cleaning, and polishing. If you have inquiries about this Corum Lady Millennium watch please call us toll free at 800-705-1112 and be sure to reference W519773.